SAN FRANCISCO (Reuters) - Samsung Electronics Co Ltd <005930.KS> and LG Electronics <066570.KS> were accused of agreeing to avoid poaching each other's U.S. employees, according to a U.S. civil lawsuit filed last week, in what has become a familiar allegation in Silicon Valley. The proposed class action, filed in a Northern California federal court by an LG sales manager, accuses Samsung and LG of antitrust violations and driving down employee wages. The case is similar to one against Apple Inc <AAPL.O>, Google <GOOGL.O> and other tech companies which settled last year for $415 million. 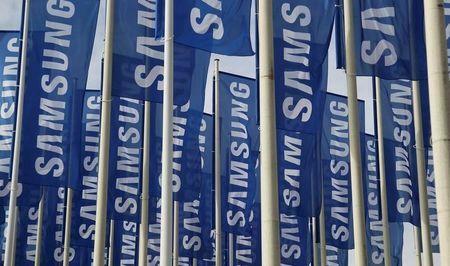 Representatives for Samsung and LG could not immediately be reached for comment on Monday. The plaintiff, A. Frost, says in the lawsuit that a recruiter contacted Frost via LinkedIn in 2013, seeking to fill a position with Samsung. According to the lawsuit, the recruiter then informed Frost the same day: "I made a mistake! I'm not supposed to poach LG for Samsung!!! Sorry! The two companies have an agreement that they won't steal each other's employees." It is "implausible" that such a deal in the United States could have been reached without the consent of each company's corporate parent in South Korea, says the lawsuit, which does not state a specific damages amount. The case in U.S. District Court, Northern District of California is A. Frost vs. LG Corporation, LG Electronics Inc, Samsung Electronics Co Ltd et al., 16-5206.